The Gap started out selling just blue jeans, but has moved on to become a large seller of business casual clothes. Reproduced by permission of the Fashion Syndicate Press. clothes for the entire family, selling them at lower prices than the Gap. Trying to create a fun atmosphere, the company decorated the stores playfully, sometimes including old cars and gumball machines. In less than four years, Old Navy reached annual sales of $1 billion. 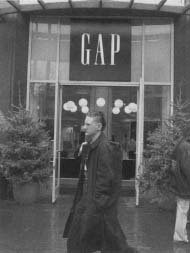 By this time, the Gap had also expanded overseas, introducing stores in Canada and Europe. The first Japanese store opened in 1995. 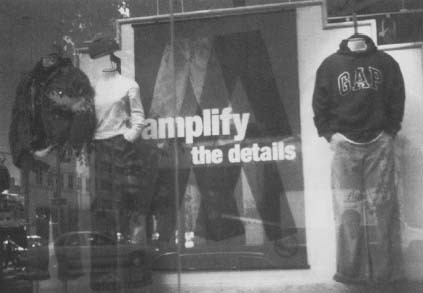 New products were also introduced, as the Gap began selling shoes and perfume.